Only two days left before we drop a glorious hammer upon you. After much deliberation, and since the occasion is such a special one, we have decided it’s time to show you the fancy poster we’ve made for this most-fancy of shows at the Metro. 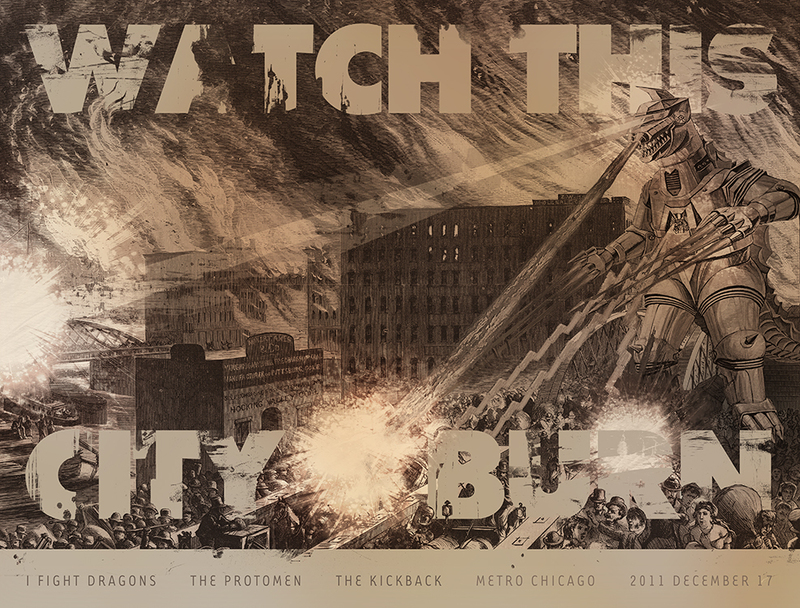 This [to be] screen printed poster will be available at the show in short supply. If any survive the night, they will go online the following day at 10am at the SoundMachine Store. Thanks to Caspar for putting it together. Thanks to Mechagodzilla for just being there. p.s. – If you haven’t gotten your tickets for the show… Shame on you.